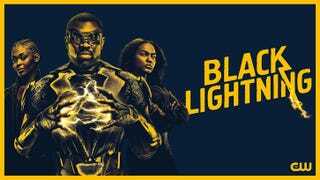 Black Lightning 2x01 Reaction Thread: Is Back and with even longer titles! Are you ready? Tonight’s the night! This amazing little show is back and with titles that keep defying logic. They’re as long as a thesis title. But here we are, with this amazing family and a couple of great campy but menacing villains, and hopefully a little less Trump similes as characters. Let’s react! I’ll see you once I’m done with work and able to watch this.